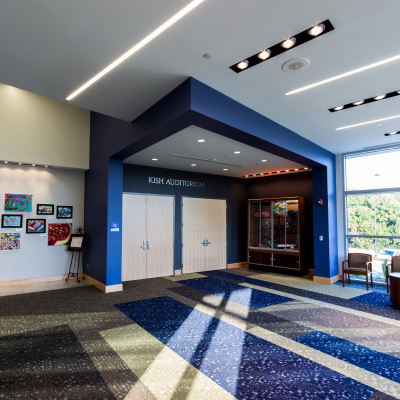 The Marian Performing Arts Center was designed with education in mind as it features a a full-sized dance studio and large instrumental music classroom. 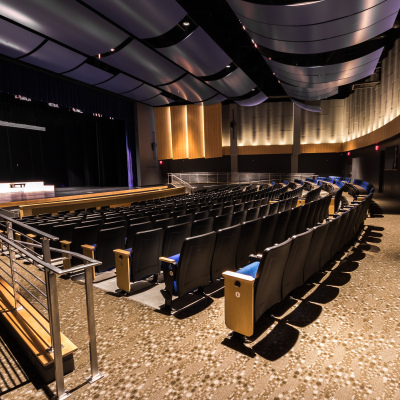 The auditorium has seating for over 400 and a large stage that is ideal for large-scale productions that take on a Broadway feel because of the premier sound and light features. 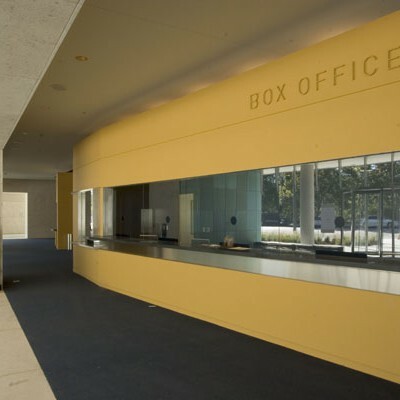 The spacious lobby that leads into the auditorium can also be used as a reception area and features a ticket booth, concession stand, and ADA restrooms and ramp. 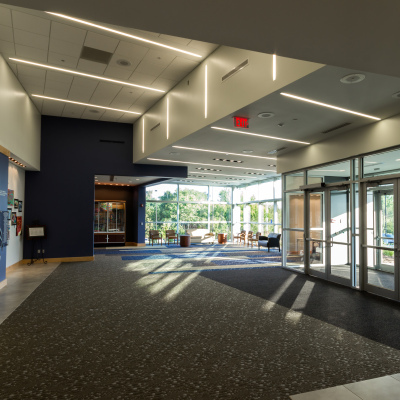 The performing arts center is an addition to the existing high school and MCL Construction made a connection that is seamless between the two buildings which speaks to our emphasis on quality and getting the detail of a project perfect. A new parking lot was also added on campus to provide easy access to visitors and students. 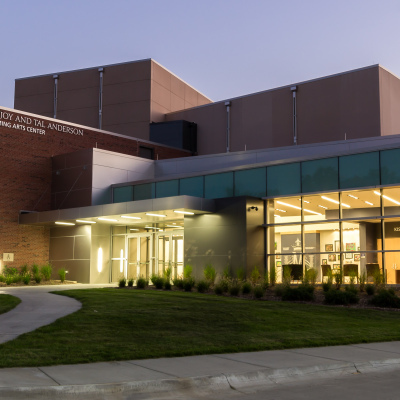 A product of the sensational participation and generous support of the community, the Holland Performing Arts Center is a testament to Omaha’s legacy for civic leadership and commitment to the arts. Opened in October 2005, the Holland Performing Arts Center is a true cultural landmark. Built with the overwhelming support and generosity of the Omaha community, the Holland Center marks the collaboration of a world-class team of architects, designers, and acousticians, tasked with creating a performing arts venue to be envied anywhere. 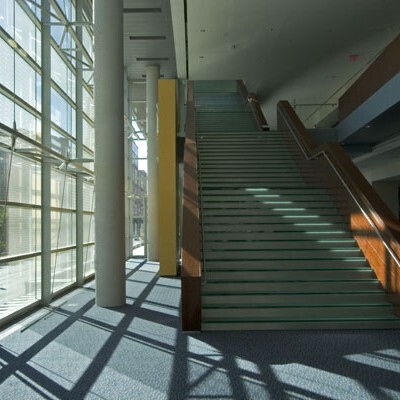 Capable of hosting various forms of entertainment, the Holland Center specializes in events requiring a more acoustical environment, including performances by the Omaha Symphony. 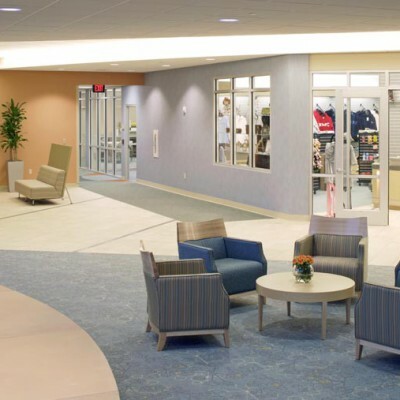 The new Nebraska Methodist College of Nursing is a creative and successful merging of old and new. 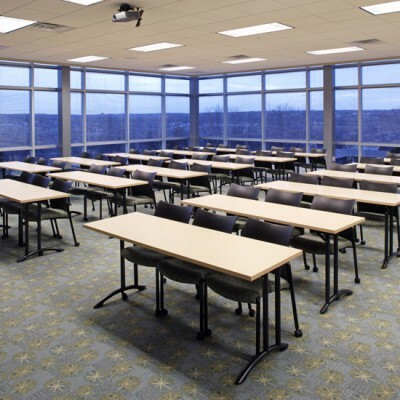 The facility possesses state-of-the-art environments for an academic teaching facility and the hospital’s continuing education programs. The 104,480-SF building includes a student center, book store, fitness center, dining area, classrooms, library, meditation chapel, offices and lab spaces. 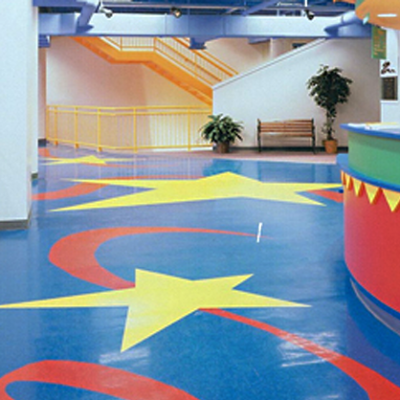 Colorful carpets and large-scale graphics were created specifically to promote learning and good health within the environment. 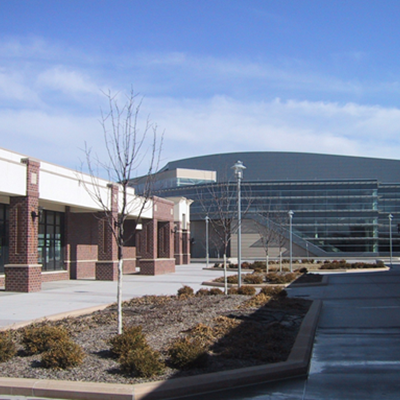 Completed ahead of schedule and within budget, The Josie Harper Campus opened its doors to students and faculty in January 2006. 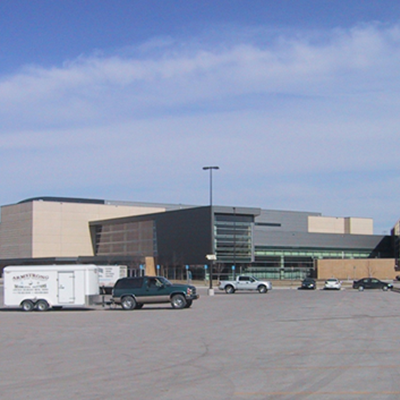 The Mid-America Center is the Heartland’s premier entertainment and convention center. 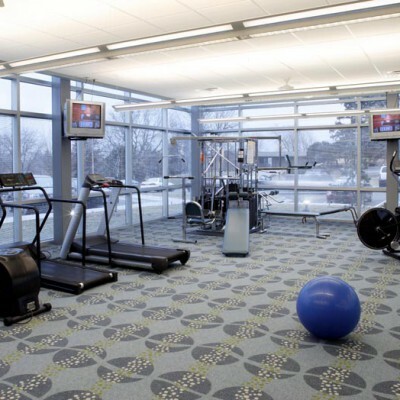 The multi-purpose facility is the Heartland’s link to the ultimate in live entertainment and sporting events. From USHL hockey and bullriding to concerts and family shows, the arena is committed to top quality events year-round. 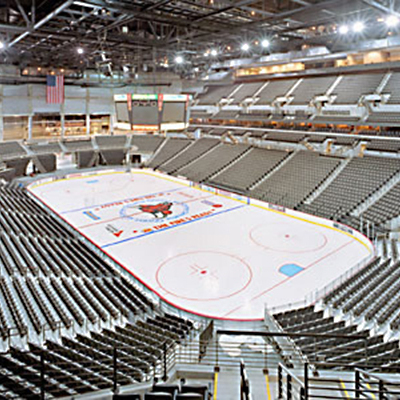 The arena is proud to be the new home of the USHL Omaha Lancers. The Lancers are the 2000-2001 Junior A National Champions. The Mid-America Center is the centerpiece of the metro area’s most exciting new destination. Elegant lodging, premium retail shops, casino gaming, a water park and a 16-screen cinema are planned to complete the development. As the largest public works project to date in Nebraska, the more than one million square foot facility and adjacent parking garage adds a dynamic signature element to Omaha’s skyline. 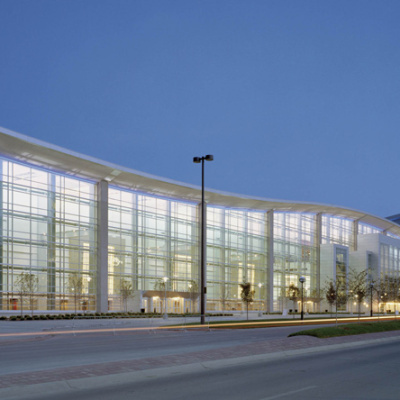 The convention center/arena houses up to one million square feet of sports, exhibition and ballroom space, flexible meeting rooms and support services. The structure takes full advantage of the flexible swing space where sports/entertainment and meeting functions meet. 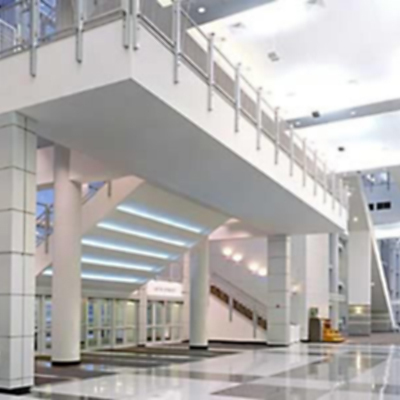 The main exhibition hall can be opened to the marshalling and event floor areas of the Arena to achieve approximately 240,000 square feet of continuous flat floor area. The arena, the tallest feature rising nearly 135 feet or 10 stories, is designed with flexible seating between 14,500 and 17,000 for major sports and entertainment events. Concessions and fan amenities are distributed throughout the facility to maximize the enjoyment of the experience and minimize waiting in lines. The Lincoln Children’s Museum was constructed as the first green building in the city of Lincoln. 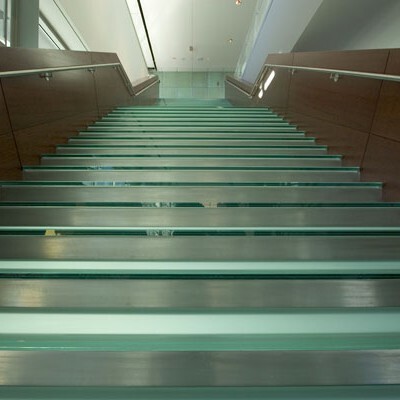 The Museum incorporated these green building principles into the design and renovation of the facility. 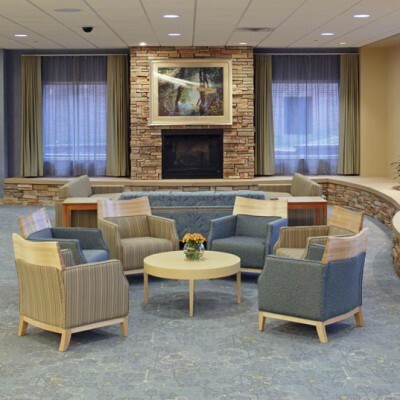 These green building principles include minimizing the amount of waste generated during construction, recycling materials that could be separated from the construction waste stream, using recycled content building materials where feasible, and using best management practices regarding energy and water conservation. The new Lincoln Children’s Museum opened its doors on October 21, 2000 with a weekend of exciting Grand Opening festivities. Proudly powered by WordPress | Theme: cfs by Oxide Design Co..